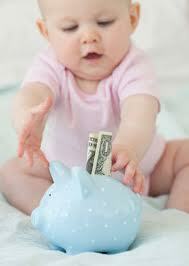 It’s never too early to start to teach your kids about money. Many of us shelter our kids, not wanting to see all of the sides of money – the good, the bad, the ugly. saving money, borrowing money and instill a sense of gratefulness. No, they won’t listen all of the time. Yes, they will do things that will make you want to pull out your hair on occasion. But trust me, those seeds you plan will be there, ready to emerge when the time is right. as well as tips and techniques I picked up over the years from clients who have experimented with what works and what doesn’t. Have a pen and paper ready! 🙂 … In addition, to the call, you will receive a replay of the event that you can play back at your convenience.